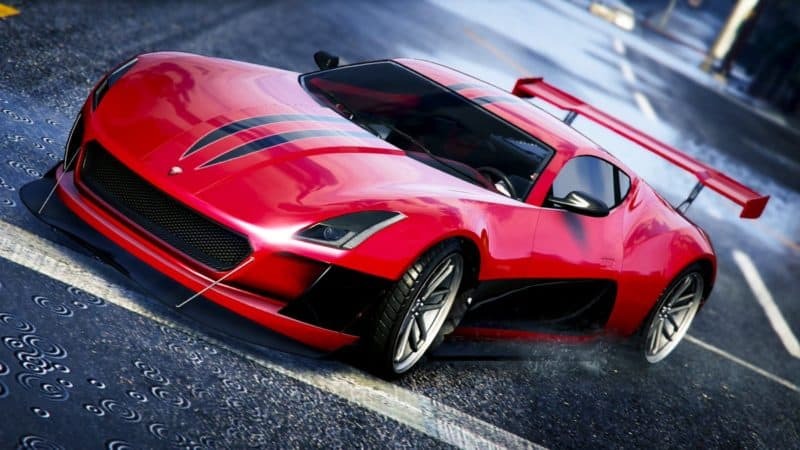 In case you felt Grand Theft Auto Online was somehow lacking gaudy armored custom SUVs befitting Russian oligarchs and other representatives of the wealthy but paranoid, Rockstar has you covered with this week's new DLC vehicle. You'll be able to finance it with a returning double reward promotion, joined by a new set of discounts. 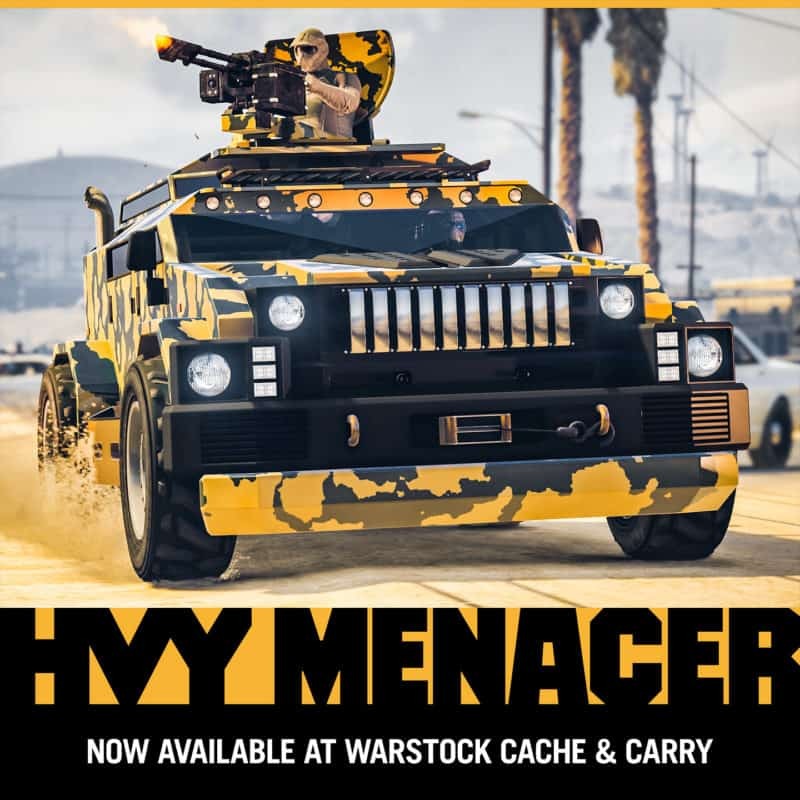 The new HVY Menacer looks to have been based heavily on those horribly overpriced somewhat-custom civilian issue luxury custom armored vehicles that people with too much money on their hands buy to look either cool or like weapons smugglers. This, of course, fits GTA perfectly and was clearly the intention, so hats off to the designers at Rockstar getting the message across. One major difference is that the Menacer has a working HMG turret on the top which would make buying one in real life near impossible, but hey, this is GTA. The car is very boxy and cubic with small windows, and in spite of its size seems to be set low due to the armor plating, leaving little ground clearance. Oddly enough, in spite of the low clearance, the Menacer is better on off-road terrain than the much higher Insurgent or Nightshark, in exchange for having worse acceleration. This ungainly status symbol can be yours today for GTA$ 1,775,000. If you don't have just shy of 2 million kicking around, you can always try and grind for that cash in Hunting Pack Remix, the new Adversary Mode added to the game last week. The double GTA$ and RP promotion giving you twice the rewards when playing has been extended for another week, so get queueing. Players logging into GTA Online this week will also be getting a free gift from Rockstar, which really just serves as more incentive to buy the Menacer - all players will be given an exclusive Blue Tartan and Orange Shade Camo livery for the new vehicle, allowing you to deck out the ride with Day Week One colours. This week's discounts vary a tad in terms of magnitude, with the RM-10 Bombushka coming in as the best deal at 40% off. The Mammoth Thruster, P-45 Nokota, Pegassi Reaper, Cheval Taipan, Coil Cyclone, Lampadati Michelli GT and Overflod Autarch are all 30% off, alongside with Facilities. Various upgrades and liveries come in at 25% off. Last week Rockstar promised a few more Remixed Adversary Modes, meaning we'll likely see a new one next week.